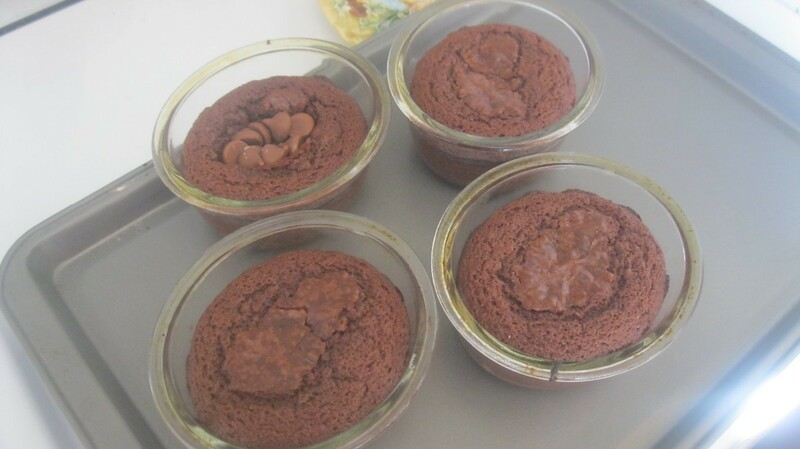 This is taken from Nigella Lawson's recipe for Chocohotopots. (I made a few changes). 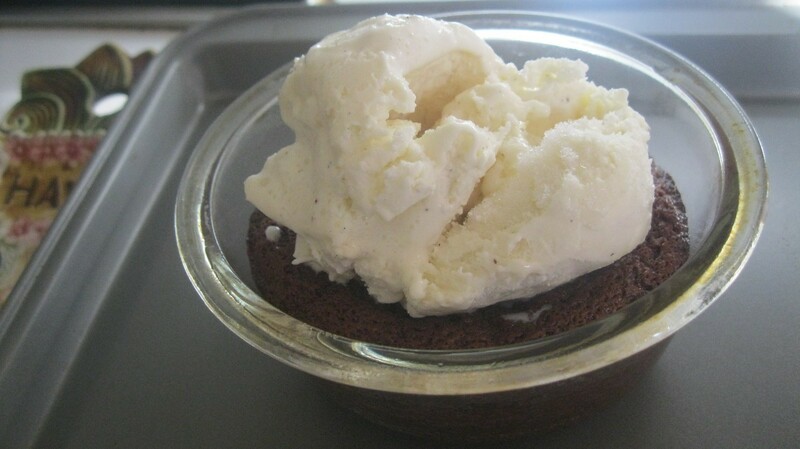 They are delicious and quick to whip up. My picky kids can't wait for these to come out of the oven. Definitely a keeper! Butter 4 ramekins with an extra tablespoon of butter. Melt chocolate and butter. Cool a little (a few minutes). 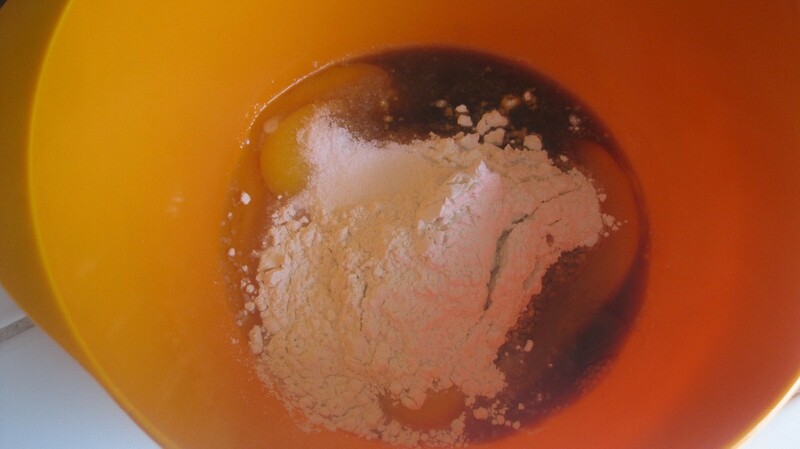 In separate bowl, combine eggs, sugar, flour, vanilla, salt, and dissolved coffee. 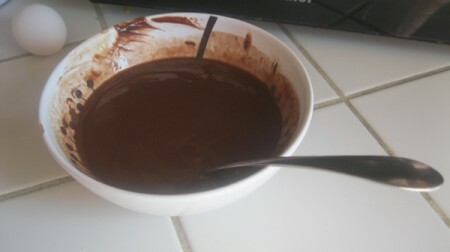 Add chocolate mixture to the bowl. Stir til combined. Pour into ramekins. The original recipe says to bake for 20 minutes. But, it's a little too gooey and under-cooked to serve to my kids. I bake them for 25-28 minutes, til there's no jiggle and the cakes are more set. When the cakes come out, you can add some chocolate to the middle or if you like to live dangerously, a spoonful of Nutella. Ice cream is really good on it, too. Let cakes cool for about 10 minutes, so no one gets burned. Enjoy! Yummy! 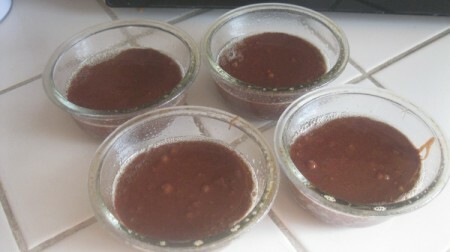 I love chocolate, I can tell this will be one of my new favorite recipes. Can't wait to try it! Thanks:) 2 chocolate thumbs up! Plan to make when grandkids are here!